NOTE: This content is old - Published: Wednesday, Nov 21st, 2018. 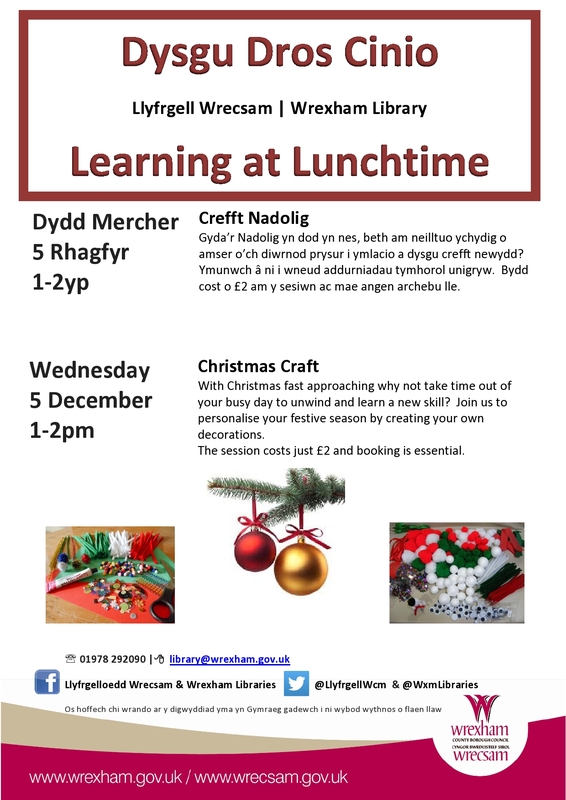 With Christmas fast approaching why not take time out of your busy day to unwind and learn a new skill? Join us to personalise your festive season by creating your own decorations. The session costs just £2 and booking is essential.